In our extensive research we’ve found veterinarians, dog trainers and animal advocacy groups on both sides of the table, passionate about their opinions and armed with information to support their stance. But to us the most telling evidence comes from people actually using the electronic collars that come with their electric dog fences. After reading close to 1,000 customer reviews on all types of pet containment systems we can tell you unequivocally that the overwhelming majority of people say that e-collars are a very safe and effective way to keep your dog secure. In order for you to know if an electronic dog collar is the right choice for you and your dog, we feel you need to understand what it is, what it does and how the design of e-collars has evolved over the past fifty or so years to ensure that today’s e-collars are both safe and humane. Electronic Collar, E-Collar or Shock Collar? Electronic dog collars are also referred to as e-collars and shock collars. While e-collars is an appropriate term, the term shock collar is actually a very outdated term which refers to collars used in the late 1960s to train hunting dogs. Back then, the collars were very powerful and had little choice when it came to setting the level of stimulation dogs received. Those collars were barbaric, inhumane and thankfully are no longer manufactured. Even so, shock collar is still a very common term today so whether we call them shock collars, electronic collars or e-collars, at the end of the day we’re talking about the same thing. What Is An Electronic Dog Collar And What Does It Do? 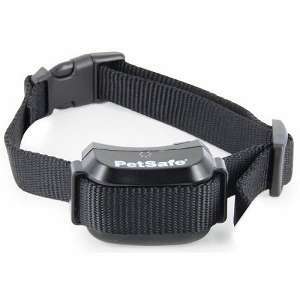 An electronic dog collar is a special receiver collar that is used in conjunction with an electric dog fence. The collar has metal contact points on it and those contact points deliver a mild electric stimulation if your dog gets too close to the invisible fence boundary. Stop your dog from moving toward the fence line. Encourage your furry friend to stay within the boundaries of their containment area. What Is A Static Correction And Will It Hurt My Dog? This mild electric stimulation delivered by the collar is technically known as a static correction and the sensation your dog will feel when they get a static correction can be compared to the little shock you get when you walk across a carpet in socks and touch a metal doorknob. It startles you and makes you not want to do it again, but it doesn’t hurt you in any way. In much the same way, when used properly the electric stimulation delivered by today’s e-collars is designed to be uncomfortable — so that your dog will want to avoid it — but not painful in any way. If you’d like to know more about PETT you can head over here. As dog lovers the last thing we want to do is hurt our dog so it’s understandable that the thought of giving them an electric stimulation makes us nervous. On top of that, the term ‘shock collar’ conjures up all kinds of negative images, none of them pleasant! Safety time out: This feature automatically turns the static correction off after a certain amount of time, usually 15-30 seconds depending on the fence. This ensures that no matter what, your dog will never get an electric stimulation for longer than a set amount of time. Low battery warning: Knowing when your battery needs to be recharged or replaced means you’ll never send your dog outside with a collar that’s not working. 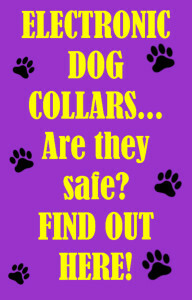 And a fully functioning collar keeps your dog safe and sound inside their containment area. 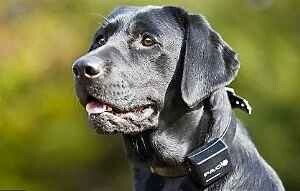 Are Electronic Dog Collars Humane? Lower levels of static correction: Decades ago the only levels available were high, very high and painfully high. Research done by leading companies over the past few decades has shown that most dogs respond very well to much lower levels of electric stimulation and that knowledge has been incorporated into today’s electronic collars. A wide variety of stimulation levels. The majority of electric dog fence collars on the market today have anywhere from 4-10 levels of static correction to choose from and this allows you to find a level that’s just right for both the size and temperament of your dog. A beep or vibration only mode for training. By using a beep or vibrate only mode when you begin the training process your canine buddy will become familiar with their new boundaries and learn to respond appropriately to the warning beep or vibration before you introduce any kind of static correction. But most importantly, today’s e-collars are designed to provide maximum results with the minimum amount of stimulation. In fact, when training your dog to an electric dog fence the ultimate goal is to end up with the lowest level of stimulation that will produce the result you want. Can An E-Collar Be Used On Any Dog? 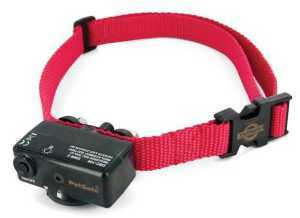 Should not be used with aggressive dogs as e-collars have been known to increase aggression levels. Use with caution on anxious or sensitive dogs and dogs under 6 months of age. Consult your vet before using on pregnant, elderly or sick dogs. After all is said and done, what sets our minds at ease is that dogs are extremely intelligent so it doesn’t take long for them to learn exactly what behavior leads to a static correction. And once they know that, they’ll do whatever it takes to avoid that stimulation. In fact, the vast majority of people say that their dog only had to experience the static correction once or twice and only during the initial training period. Once they were properly trained to respond to the warning beep they were happy to stay within their predefined perimeter and rarely ventured close enough to the boundary to get a static correction. And, as many people pointed out, a couple of static corrections during the initial training period was preferable to their dog getting out of the yard and into harm’s way. No matter how you slice it, there will probably always be a lot of controversy on the use of electronic collars. But again, to us the most telling opinions come from people who are already using e-collars on their dogs. Without a doubt, our research indicates that the overwhelming majority of people already using them say that, when used properly, electronic dog collars won’t hurt your dog and are a very safe, effective way to keep your furry friend in the yard.